Build Your Own Pavilion is Back! We’re back! Build Your Own Pavilion 2016 will be launching at the start of June, and this year it’s even better as the competition will be open to international entries, plus we’re including digital designs and accepting CAD models too. 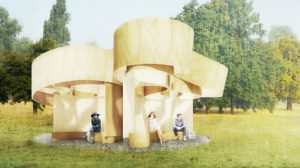 The Build Your Own Pavilion competition launches alongside the Serpentine Pavilion, and this year we’re made up to have not one but five world-class architects designing structures for our gardens! 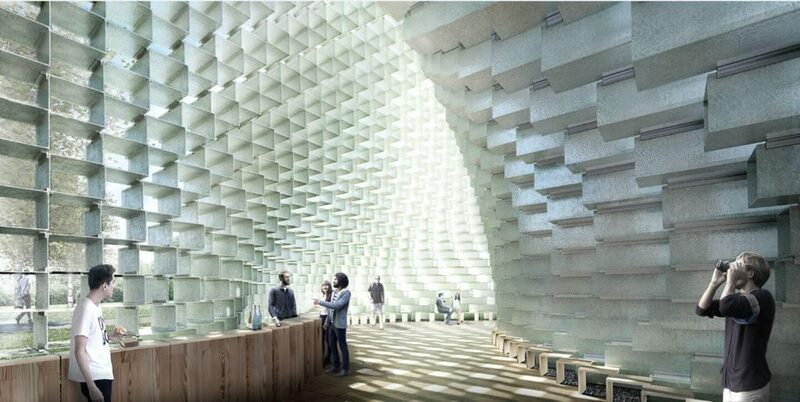 The Serpentine Pavilion this year is designed by Bjarke Ingels Group (BIG), who have dreamed up this breathtaking ‘unzipped wall’ structure, transforming a straight line to three-dimensional space. BIG’s Pavilion is a dramatic space that by day houses a café and free family activities and by night becomes a venue for the Serpentine’s acclaimed Park Nights programme of performative works by artists, writers and musicians. 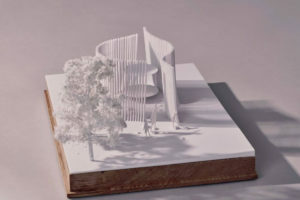 The additional architects selected will create four Summer Houses, inspired by the nearby Queen Caroline’s Temple – a classical style summer house, built in 1734 and a stone’s throw from the Serpentine Gallery. Kunlé Adeyemi’s Summer House is an inverse replica of Queen Caroline’s Temple – a tribute to its robust form, space and material, recomposed into a new sculptural object. What other structures could be inverted to make unique and interesting forms? 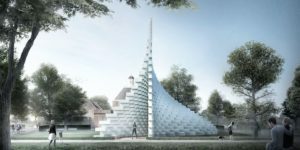 Barkow Leibinger were inspired by another, now extinct, 18th Century pavilion also designed by William Kent, which rotated and offered 360 degree views of the Park. Will your pavilion move in some way? How will this affect the people using it? Yona Friedman’s Summer House takes the form of a modular structure that can be assembled and disassembled in different formations and builds upon the architect’s pioneering project La Ville Spatiale (Spatial City) begun in the late 1950s. Perhaps your competition entry will include different units that can be reconfigured. 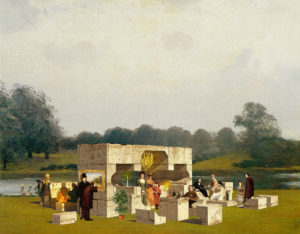 Asif Khan’s design is inspired by the fact that Queen Caroline’s Temple was positioned in a way that would allow it to catch the sunlight from The Serpentine lake. Will your design make a feature of how light interacts with the structure? 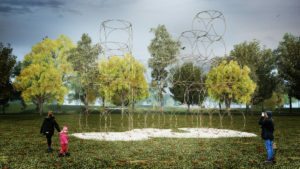 We can’t wait to see these structures materialise as construction begins in the grounds – we’ll be sure to keep you updated with photos and updates!